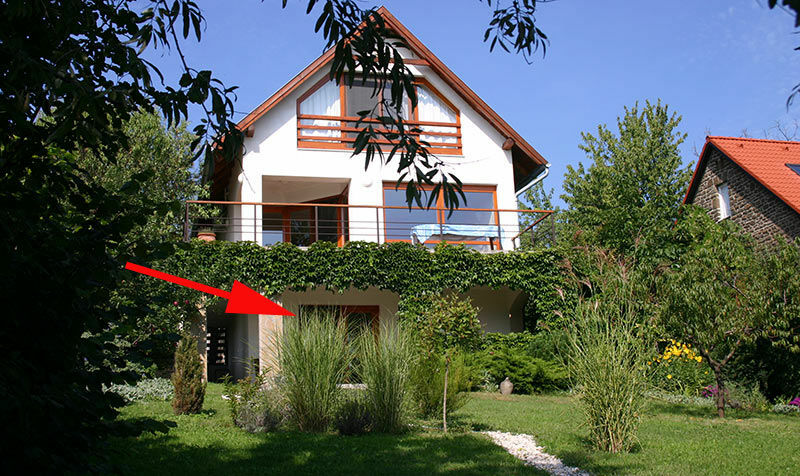 Holiday accommodation Lake Balaton - Halfway between Club Tihany and the village Tihany, in beautiful countryside with sensational panorama over Lake Balaton and vineyards, lie a couple of holiday homes to rent. The windsurfing and sailing school at Club Tihany is an easy 10 to 15 minute walk, through beautiful scenery, away. There are a couple of idyllic restaurants and wine cellar nearby. We have one holiday home and one apartment available to rent online. Situated in a quiet dead-end road, surrounded by villas and vineyards is an apartment for 2-3 persons. Private entrance and terrace, with private front garden boasting panoramic views guarantee a peaceful and relaxed stay. The apartment is situated on the ground-floor level of the house. You can enjoy your breakfast in the morning sun, then later in the afternoon you can take advantage of the cool under-covered terrace. The apartment has a living room / bedroom and a small bathroom with a compact, well-equipped kitchenette, equipped satellite TV with foreign channels and broadband Internet via WiFi. The view speaks for it self. 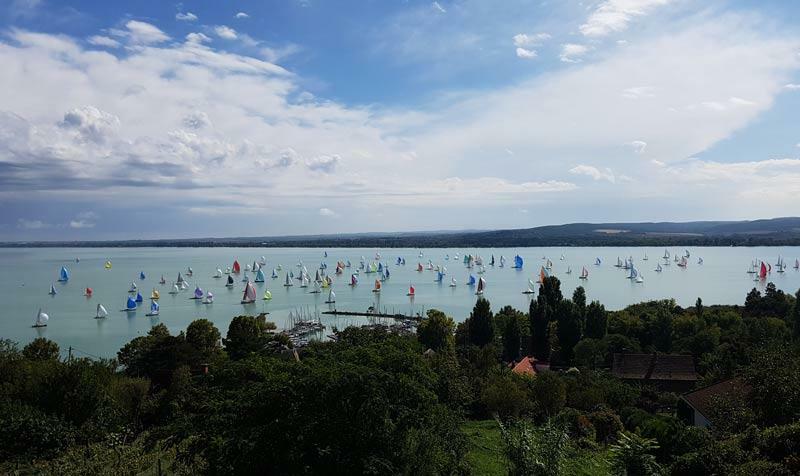 Have a look through the webcam over Lake Balaton!